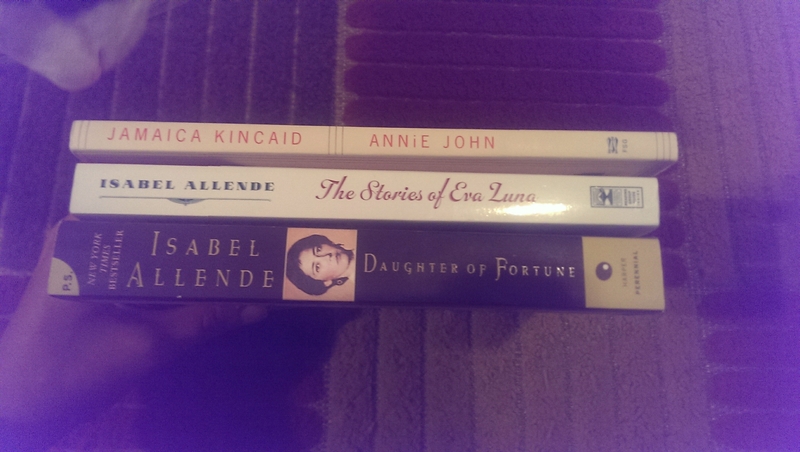 The Stories of Eva Luna and Daughters of Fortune both by the incomparable Isabel Allende. I don’t have time to drop by any bookstore lately so I just have some ebooks on my phone. But those don’t get read too because work has been busy for me lately. Hopefully you can post a review of these books soon!